This blog has come to an end of its lifespan. It has been a fun ride and I'm grateful you came along. Please look for your favorite Birding Is Fun contributors on their personal blogs...if they still have them...and on other social media like Facebook, Twitter, and Instagram. 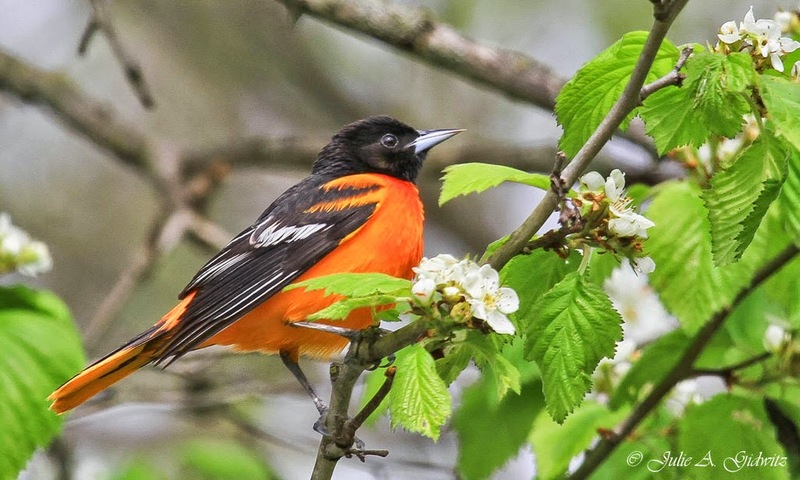 May is typically the month when I drive thousands of miles criss-crossing the county trying to see all the returning breeding birds and the rarer passage migrants as they wing their way north. But this year is different, so I spent most of the month sitting in my yard. Waiting. Hoping. Praying. And not seeing as many birds as I wanted, but getting some key tough yard birds needed to make this effort worthwhile! First off a word about leaves. 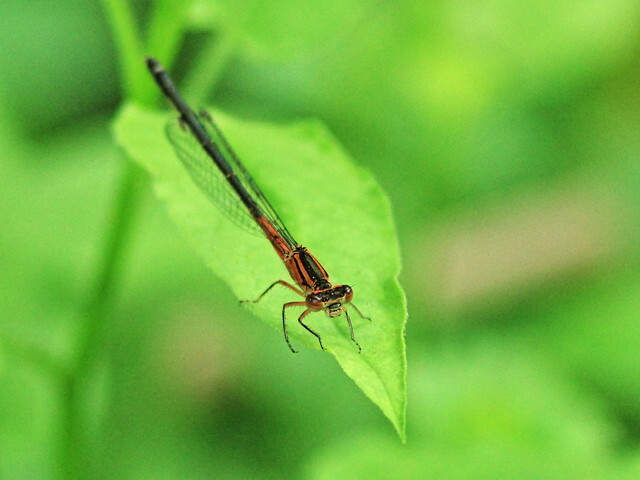 Leaves bring insects, and insects bring birds. That's good and as it should be. But they also kill my views of the larger neighborhood, putting the kibosh on scoping out migrants at a distance. That said, a Common Loon flying low over my near neighborhood on 12 May was a much needed tough Code 3 bird for the yard. 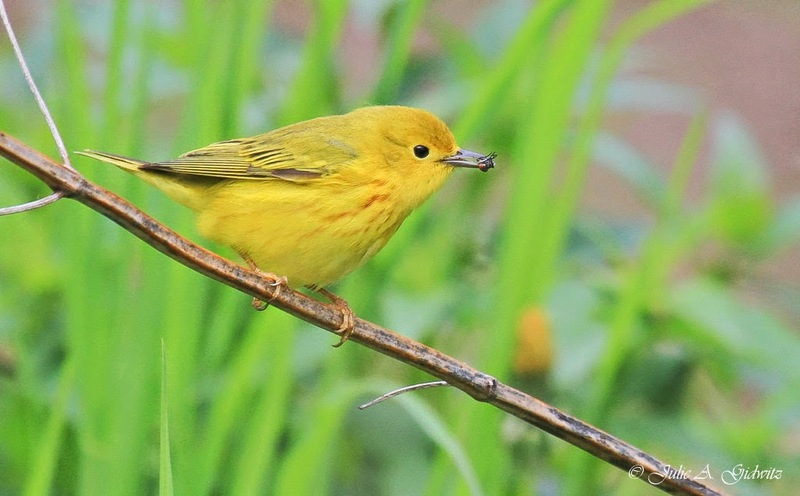 Over 30 warbler species stream through my county in May. But with lots of days with north winds, migration was very poor this year. I only managed to get 14 warbler species in my yard during the day, and an additional two species by nocturnal flight call on my overnight recordings. I still have a lot of overnight recordings to review, so there should be some more species on there. But to show how tough it was this year, I didn't get a single Black-throated Blue in the yard and only singles of Magnolia Warbler and Yellow-rumped Warbler! Crazy! I'm still expecting to add more species to my overall year list as I go through my overnight recordings--I've already picked up some shorebirds including Least Sandpiper, Solitary Sandpiper, and Spotted Sandpiper. I'm pretty sure I've got a rare (Code 5) Short-billed Dowitcher recording or two I need to double check before claiming. So there is more to come. 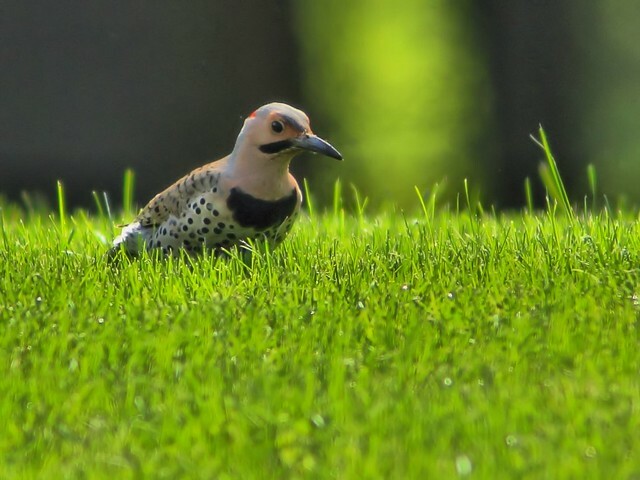 Meanwhile, as it stands, my 2015 Backyard Big Year List stands at 138 species. June is expected to be slow, but I'll still be out trying to get my 20 Bird Minimum Daily Requirement and see if I can add a few more species to the list before the southbound migrants start showing up again in late June/early July. More May highlights and photos at the Backyard Big Year Blog. 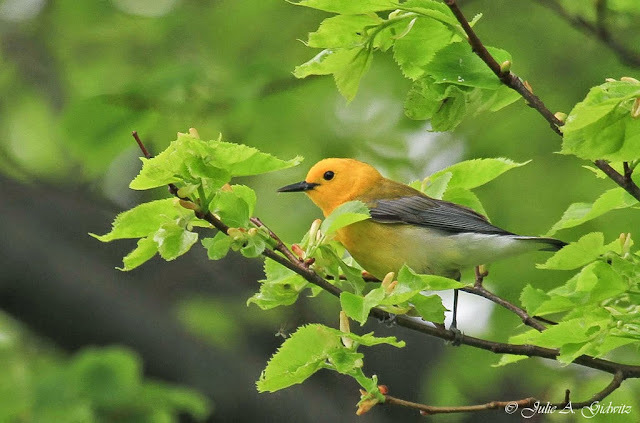 Migration in Chicago is always interesting and exciting. 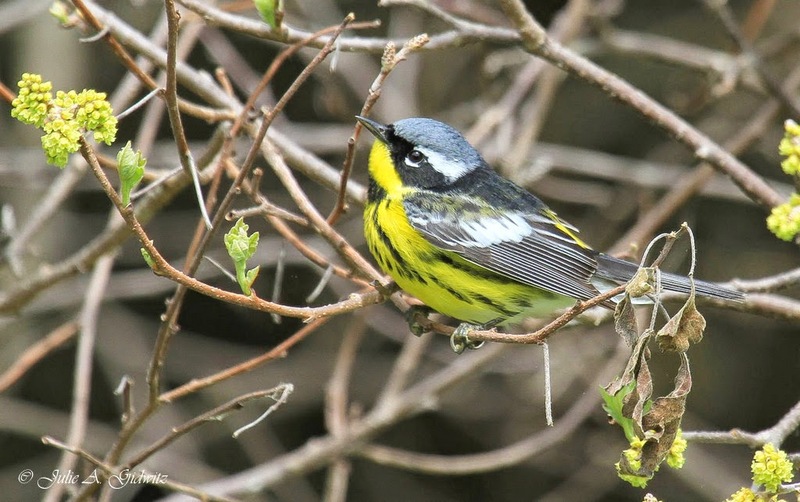 So far, the highlight of the 2015 spring season has been the arrival of a male Kirtland's Warbler at Montrose Point Bird Sanctuary. 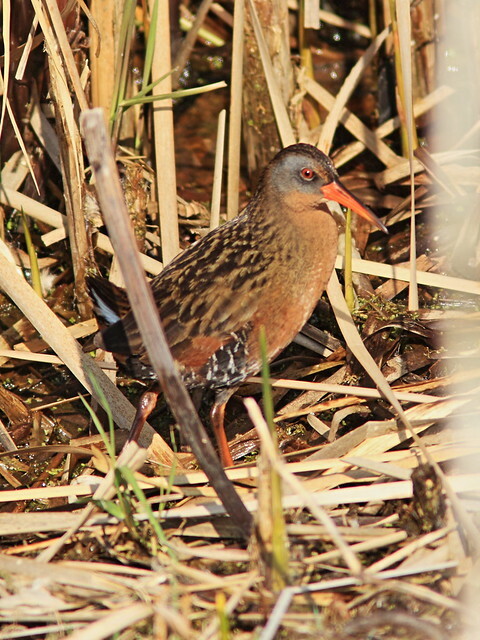 This rare bird stayed for two days to the delight of birders and photographers. The Chicago Tribune Newspaper even published an article about the resplendent bird. 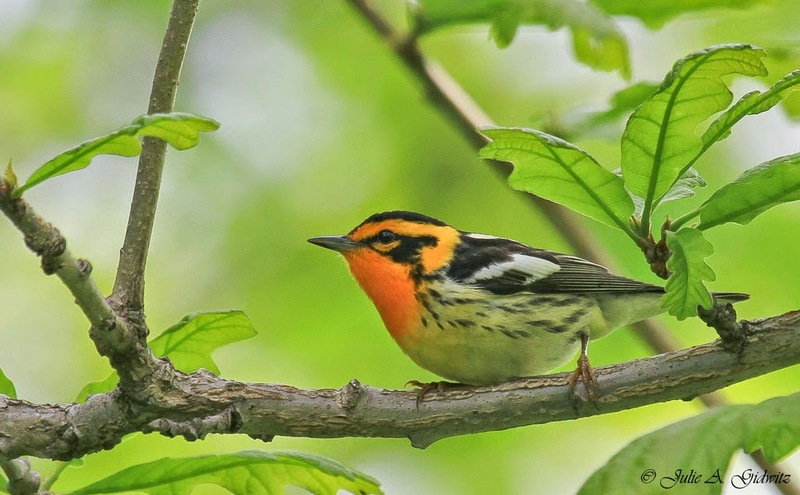 After a quiet early May, things really picked up and colorful warblers, tanagers, vireos and cuckoos have been ever-present for a couple of weeks. 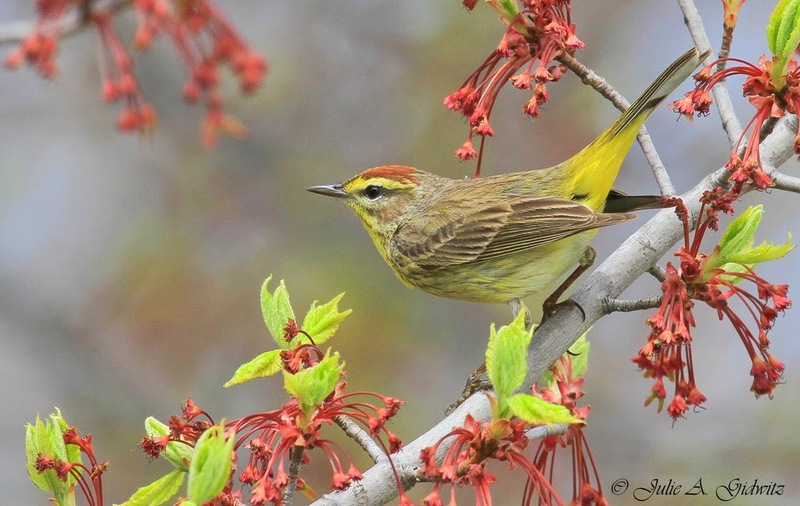 Below I feature several of the beautiful birds I have spotted over the spring migration period. 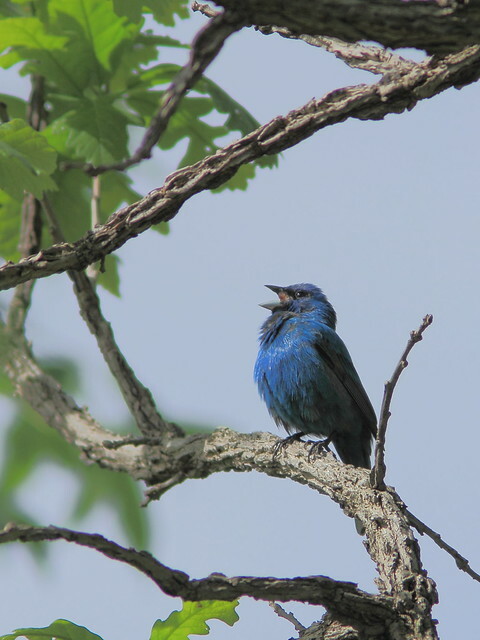 A favorite birding site near our NE Illinois home is the 175 acre Bliss Woods Forest Preserve in Sugar Grove. 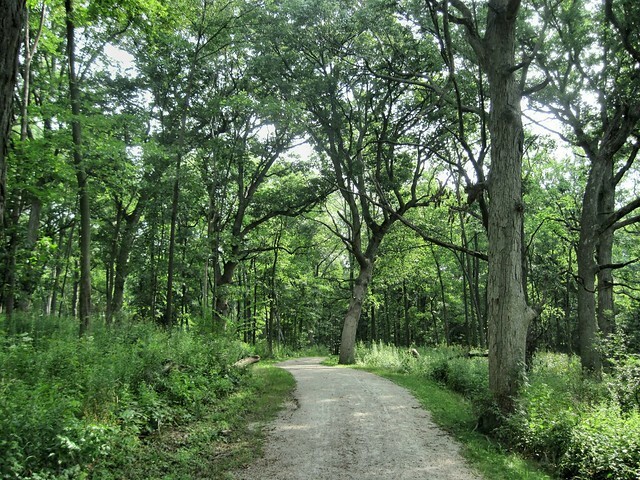 A bike trail connects Bliss woods with the 402 acre Hannaford Woods-Nickels Farm Forest Preserve, forming a complex known as the Bliss Woods-Waubonsee College open space assemblage. 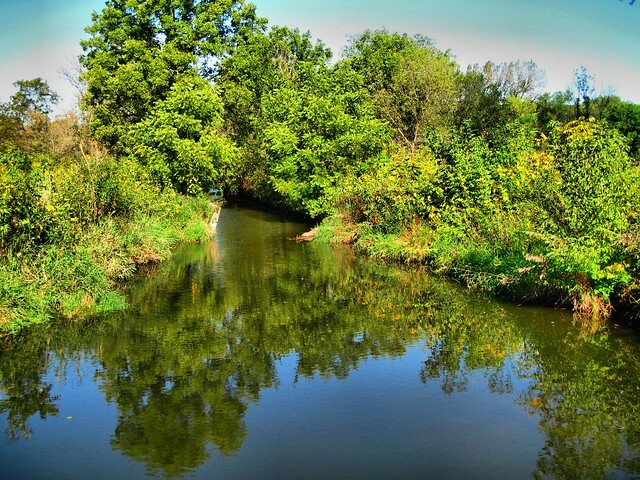 This protects a varied habitat including hardwood forest, open prairies and wetlands. 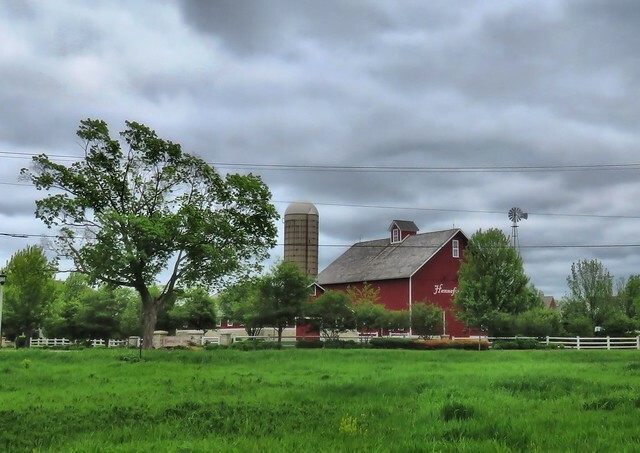 Most of this section of Illinois is flat land, planted in miles and miles of corn and soybeans, but thanks to preservation of the remnants of the Kaneville Esker, this preserve is a green gem, with rolling hills and valleys. Ridges (eskers) and prominent mounds (kames) interrupt the monotony of the prairie. These features, as well as prairie potholes (also known as kettles), were produced about 13,000 years ago by retreating glaciers. Many have been disturbed or removed, as they are a convenient source of gravel. 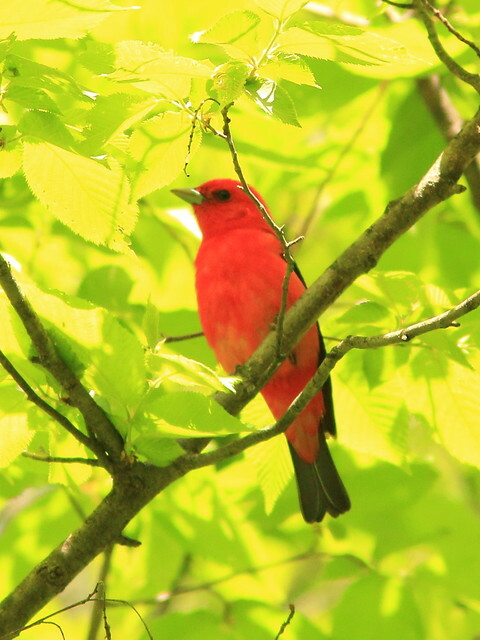 We visited the preserves several times before returning to Florida on May 24. 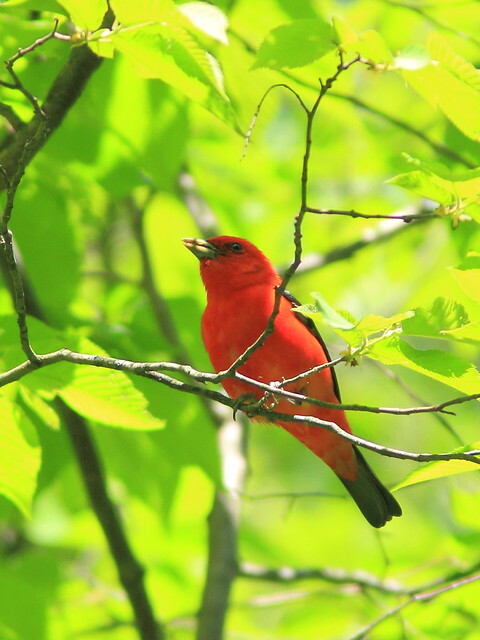 On the first visit to Bliss Woods we obtained only distant views of a Scarlet Tanager, one of our favorite birds. Two days before returning to Florida we tried one last time. The morning started out windy and quite chilly at 46 degrees F (7.8 degrees Celsius). The tree limbs were moving so much that we held little hope of seeing many birds at all. Some of those which took flight actually flew backwards! 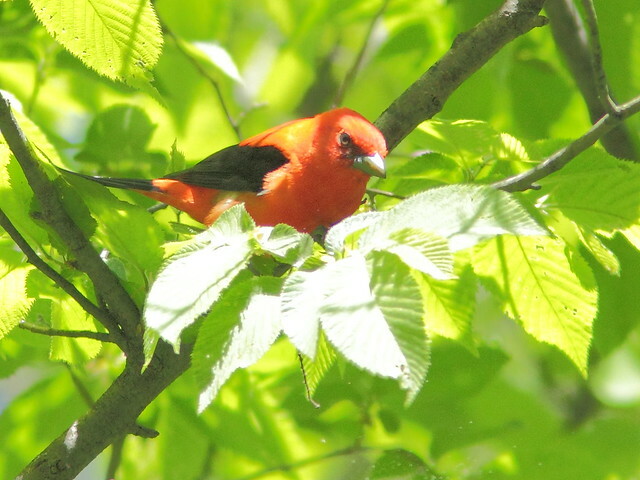 Speaking of highlights, my final visit to Hannaford Woods produced a Life Bird! This does not happen very often these days, as I have lost interest in chasing after target birds. 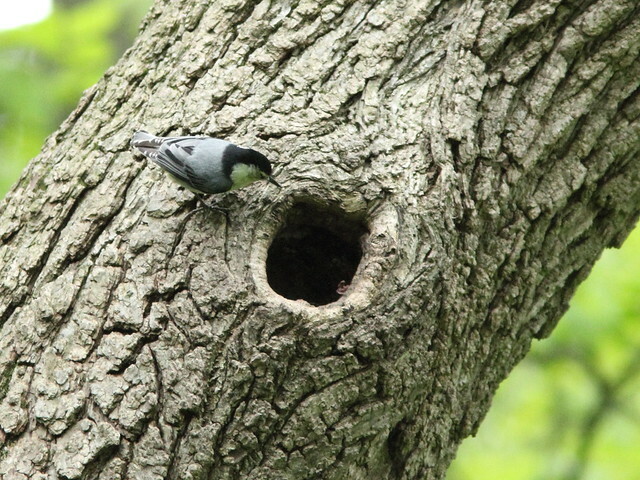 While walking the trail I heard a very loud warbler song coming from close to the ground nearby. I simply could not identify the song and tried to find the bird for the better part of half an hour. The understory was so dense and it was so tantalizingly close by! Before continuing down the trail, I recorded the song on my iPhone, hoping to research it and identify the singer. On the way back I replayed the song and the bird responded immediately. I caught a glimpse of it, singing a few inches off the ground. It had a brown back and a distinct eye ring, but it flew off in less than a second. 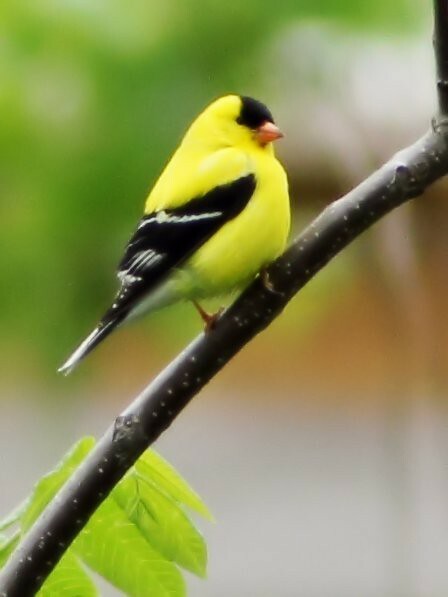 It continued to sing in the distance, but to my surprise a second bird appeared and sat still long enough for me to capture a 25 second burst of images before it flew off. 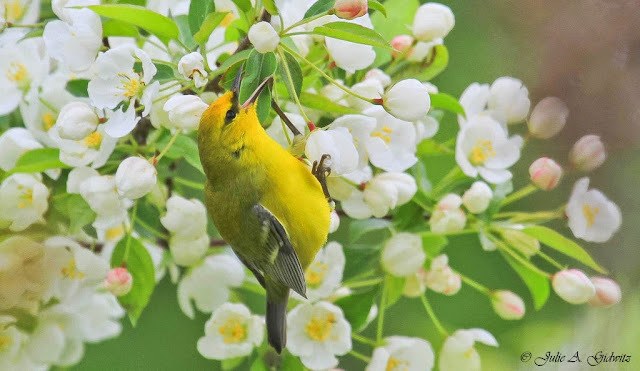 My photos confirmed that it was a Connecticut Warbler, the first I had ever seen, and the first County record this spring. This seclusive but not rare warbler breeds in the far north Central US and central Canada. Despite its name it is rarely found in the NE United States, and then only in the fall. The few winter records are from South and Central America. 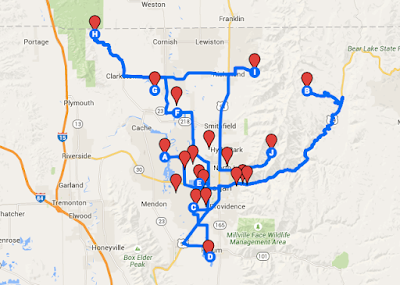 We put a lot of effort into planning our Big Day route, and stuck very close to the plan. Anyone who has done a Big Day knows that much of the work is done before the day itself, and ours was no different: Andy and I started weeks in advance, planning and re-planning our route, and especially scouting out rare birds. 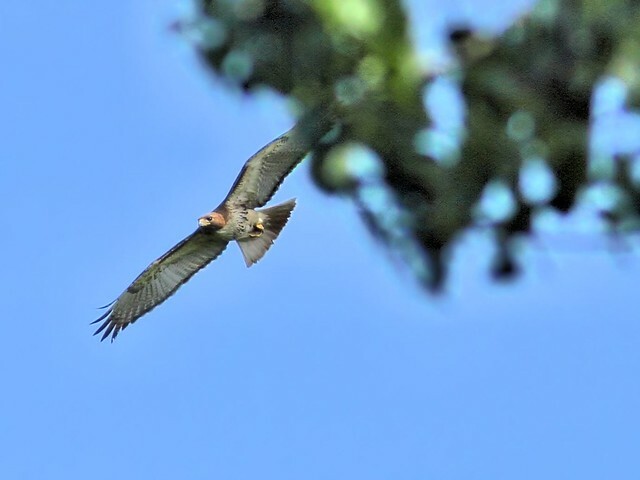 Scouting was a HUGE part of our planning and a huge part of our success: by birding nearly daily for a couple weeks before our Big Day, we were able to quickly and efficiently find a lot of hard-to-find species. The Big Day itself started at about 11:00 PM on Friday, May 29th, when I picked up Andy from his house and loaded his bike on the back of my car. Big Days run 24 hours, from midnight to midnight, but we wanted to already be in location listening for birds when the timer started at 12:00 AM. At midnight, we were already biking up Green Canyon a mile or two above the locked gate, and we heard our first bird of the day just minutes later when a Common Poorwill called (the first of nearly two dozen that night). 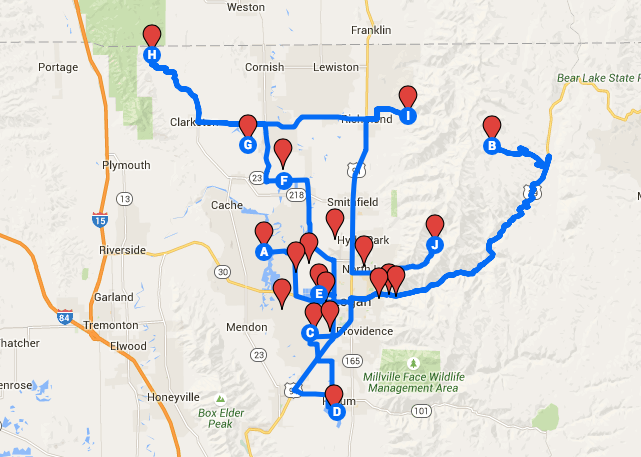 Our first stop of the day, starting at midnight, was owling Green Canyon by bike. We used the bikes several times during the day, and they ended up being instrumental in allowing us to cover lots of ground efficiently and effectively. 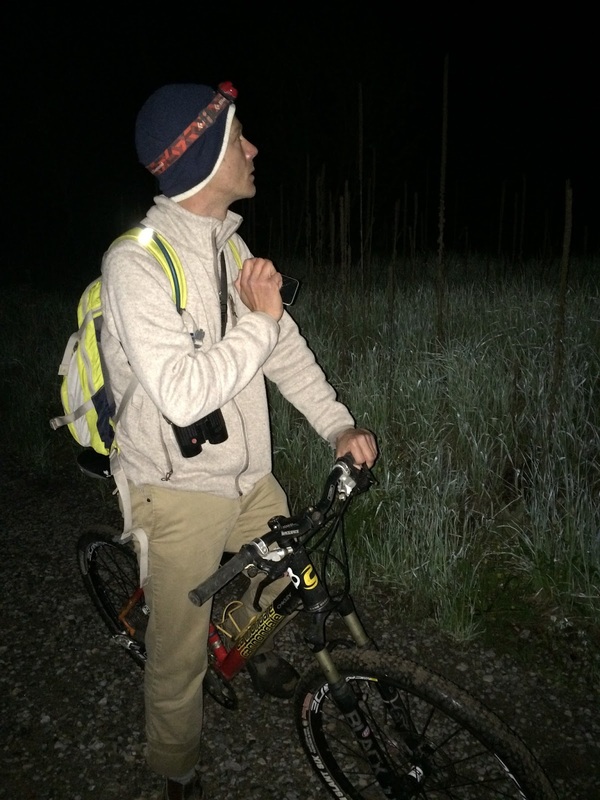 Our first owl of the night was a Flammulated Owl, singing spontaneously at the end of the trail at 12:27 AM. We also heard a couple of Ruffed Grouse displaying in the dark. We then focussed on finding Northern Saw-whet Owl and Northern Pygmy-Owl as we biked down, broadcasting song every few hundred meters. It took more work than expected, but we eventually got one Northern Pygmy-Owl to respond before our 2:00 AM deadline for leaving the canyon. Our next target was an American Bittern at Bud Phelps WMA, a bird that Andy had found on a scouting trip a couple of weeks earlier. This one was as easy as they come: we pulled into the parking lot a little before 3:00 AM, and heard it calling almost immediately. 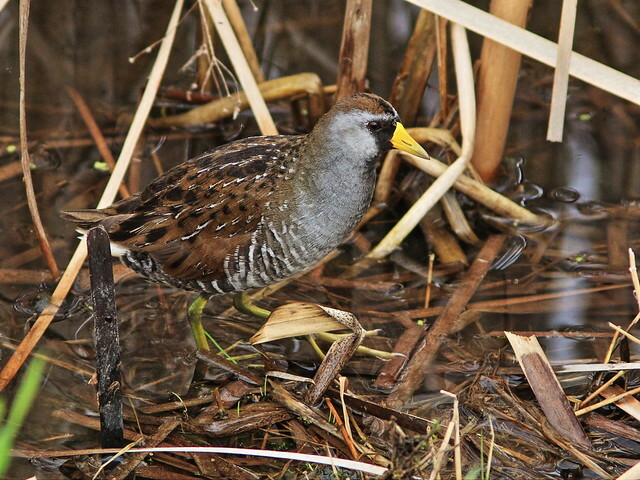 We added a couple other nocturnal vocalizers to our list here, especially Virginia Rail, Sora, and Marsh Wren. The whole stop was less than ten minutes, and we were off to a stakeout Great Horned Owl. Our friend Shelly Hatch helped us out by telling us a couple of weeks ago about a pair that had been calling in her yard at night, so we parked quietly in front of her house and played a bit of Great Horned Owl song. It took a little coaxing, but about five or ten minutes later one called back from a stand of trees near her house. Next, we wanted to check on some nearby Wood Ducks I had scouted out, a small family group with chicks on a little pond near the Great Horned Owl. It was too dark to see the ducks at night, but while driving to the pond with the windows down we heard some Barn Owls begging from a barn. This was a lucky grab as it would later save us about half an hour of daylight birding, allowing us to cut out a scheduled trip to a roosting Barn Owl I had staked out. With the quick Bittern, Great Horned Owl, and Barn Owl scores in the dark, we had a little time on our hands to look (listen) for Western Screech-Owl, the one lowland owl we hadn't been able to find in our scouting. 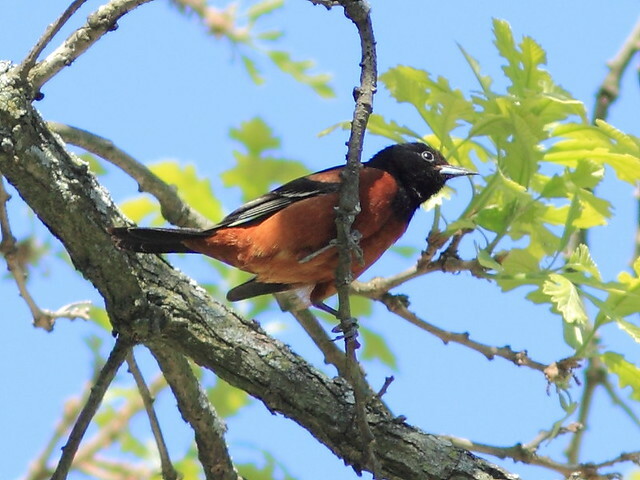 We tried a new spot, and again got lucky, with one responding rather quickly to broadcast near the Willow Park Zoo. A bonus Gray Catbird was singing in the dark, too. Then, we were off for our first daytime stop ahead of schedule! Because we had missed Northern Saw-whet Owl in Green Canyon earlier in the night, we were happy to have some time to try for it before sunrise along the road to Tony Grove, where we wanted to be at first light. We tried many stops along the seven mile road from the highway to the parking area, and finally got lucky just when we were starting to give up hope on that species, as a Northern Saw-whet Owl squealed in response to our broadcast less than a mile from the lake. By 5:15 AM the sky was already starting to get a bit of color and the dawn chorus was in full swing, so we parked at Tony Grove and worked our way up the trail towards Naomi Peak in search of high-elevation birds. 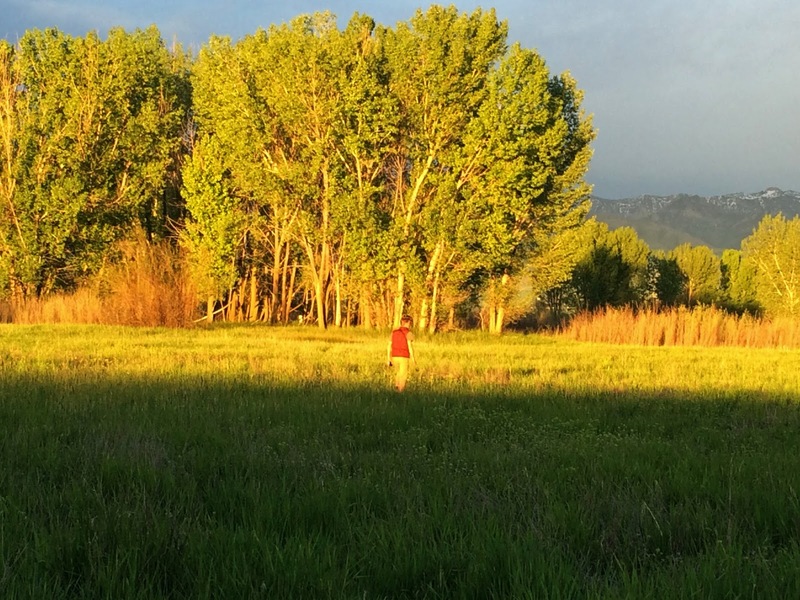 We started the daylight portion of the day at Tony Grove, the most accessible spot for many of the high elevation specialties of Cache County. 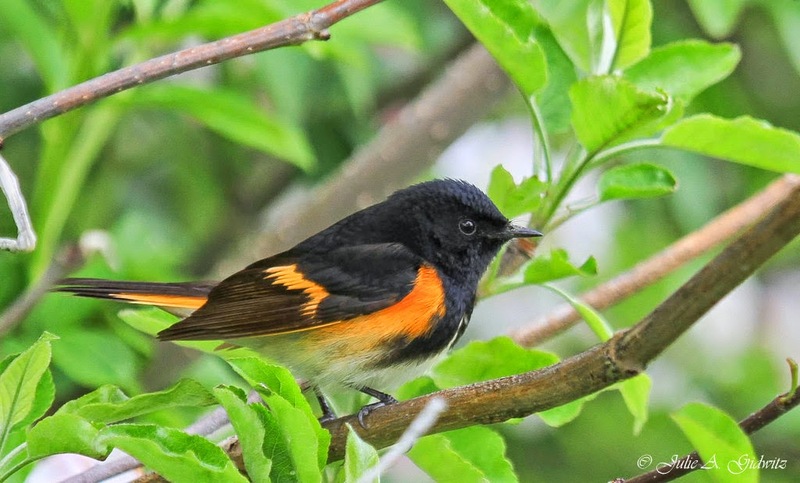 Things started fast at Tony Grove, with singing White-crowned Sparrows, Lincoln's Sparrows, MacGillivray's Warblers, House Wrens, Mountain Chickadees, Dusky and Hammond's Flycatchers, American Robins, Chipping Sparrows, and Fox Sparrows, among others. 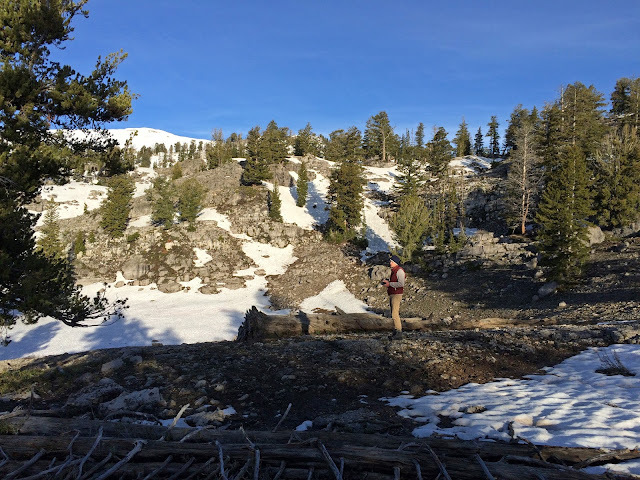 We worked our way over some deep snow patches (still frozen solid from the below-freezing nighttime temperatures) and up the trail to the area we call the "first bowl," a glacial cirque that sits just above Tony Grove Lake. Then, things slowed down a bit. We had a couple of singing Olive-sided Flycatchers, but were working hard for other high elevation specialties without much luck. 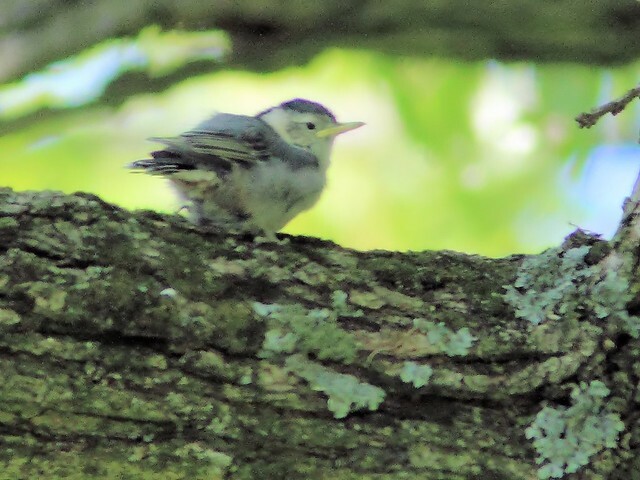 Eventually, some broadcast of White-breasted Nuthatch calls elicited a response, which was a great bird given how limited their distribution is in Cache County: they're found in only in our highest elevation forests, and are patchy and scarce even there. 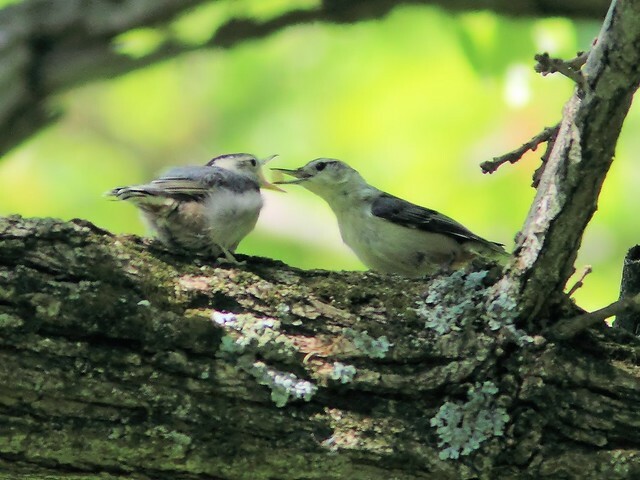 We heard a Williamson's Sapsucker give its unique long stuttering drum, a great species to pick up given the relatively early date. After nearly two hours around the area we were still hurting for a lot of common high mountain species, like Brown Creeper, Golden-crowned Kinglet, Steller's Jay, Clark's Nutcracker, Hairy Woodpecker, etc., but had to start heading back to the car. Then, things started to fall our way. A Brown Creeper called from a tree for both of us and showed itself to Andy. A small flock of Clark's Nutcrackers flew down a ridgeline in the distance. A pair of Hairy Woodpeckers responded to a broadcast call in an area we had both seen the species before. Even back down at the parking lot as we were loading into the car, a Steller's Jay called in the distance. I wonder what else we might have found with another half hour there, but a key part of a Big Day is to stay disciplined and stick to your schedule. Williamson's Sapsucker is a beautiful and distinctive woodpecker of Cache County's highest elevations. Although a recently-returning migrant, this one was already working a fresh row of sap wells. White-breasted Nuthatches are very tough to find in Cache County, but the first bowl on the Naomi Peak trail has been a somewhat reliable place to find them in recent years. By 8:40 AM we were heading down the mountain, with the windows down as always. 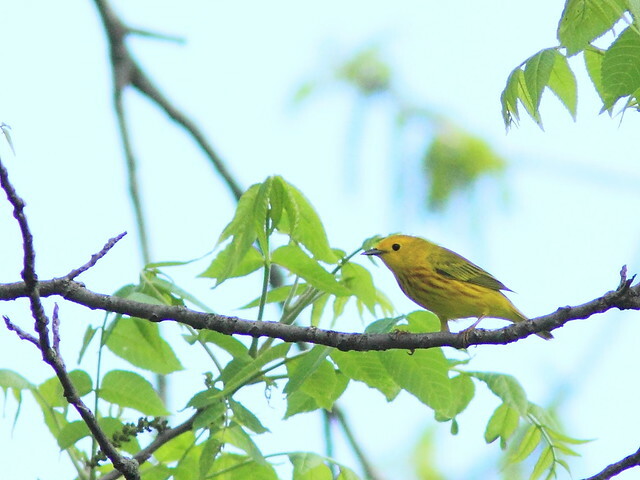 This paid off in the form of one more species, our first Orange-crowned Warbler of the day, singing along the road. As we worked our way quickly down the canyon, we were able to pick up drive-by White-throated Swifts and a Swainson's Thrush. A planned stop for Chukar and Black-throated Gray Warbler didn't pan out, although we'd pick up the warbler later. Near the mouth of the canyon we did a short walk for hummingbirds at Stokes Nature Center, but before we even got to the feeders we had seen both of the regular species there, Black-chinned Hummingbird and Broad-tailed Hummingbird, so we took a quick detour for a staked-out American Dipper nest and headed back to the car. Another quick stakeout stop added a singing Canyon Wren to the list, and then we were out of the canyon and into the lowlands for the rest of the day, starting at First Dam, where a Common Merganser that was present the day before had apparently just left. 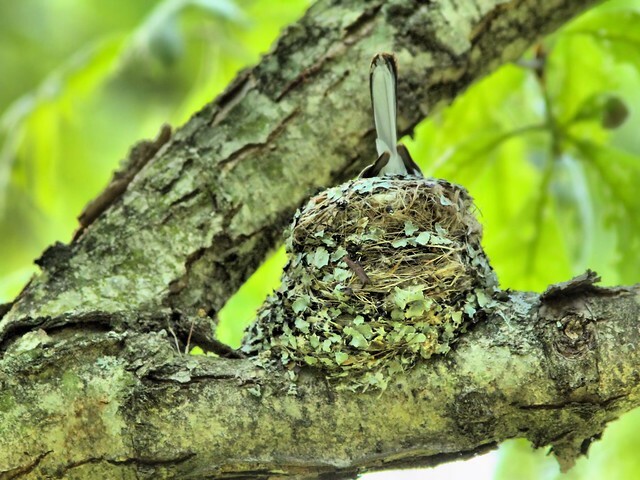 American Dippers are common along the high-gradient rivers of Cache County, but having this nest staked out in advance saved us a lot of potential birding time we could have spent just hoping to run into one. As we passed through downtown Logan on our way to the next stop, we were sure to call out all the common urban species that could be missed in the more wild habitats where we planned to spend the rest of the day: we easily picked up Rock Pigeon and House Sparrow, for example, and were able to hear a singing Lesser Goldfinch through the open car windows. We started to feel pretty unlucky, missing our second stakeout rarity in a row, when we couldn't find the Great-tailed Grackles at the Logan Landfill. But, we were disciplined about not sinking too much time into rarities, and quickly continued on to a field where Bobolinks had been displaying in the last couple of weeks. They showed for us quickly, and we were off to the nearby pond where we hadn't been able to see the Wood Ducks in the dark. In the daylight, they were easy, and we didn't even stop the car as we drove past in a rush for the next birds. We had debated whether it was worth it to make our way down to Hyrum Reservoir, and in the end decided there were enough possibilities there to make it worth it. We were going to get Barn Owl at the east end, but since we had one in the morning and were a bit behind schedule, we skipped the east end and birded only from the west end, where Andy was able to spot a continuing late Common Loon I had found a week or so before. Within minutes, we were heading back north to Rendezvous Park. 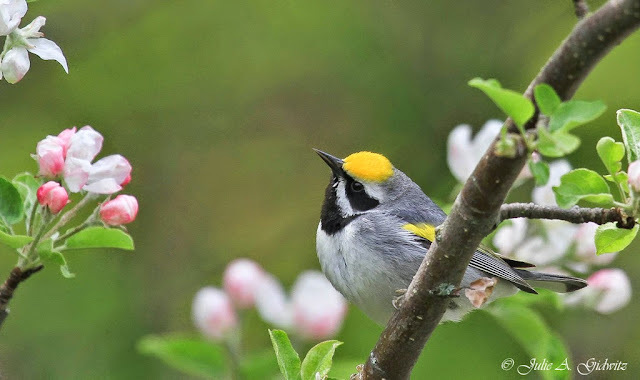 Because this would be our only real lowland "urban" habitat stop, we had a few very familiar species we needed to find, and were actually a bit excited to pick up our Black-capped Chickadee here. We needed Downy Woodpecker, too, but couldn't find any, even after broadcasting some calls. It was then around noon, so I asked Andy for a tally so far. We were both a bit surprised to be at only 80 species, and a bit intimidated with reaching our goal of topping the record of 154 by the end of the day. But, we hadn't really done much lowland birding yet, and had a lot of sparrows and other dry land birds as well as waterfowl to add to the list; our only ducks so far were Mallard and Wood Duck, for example. 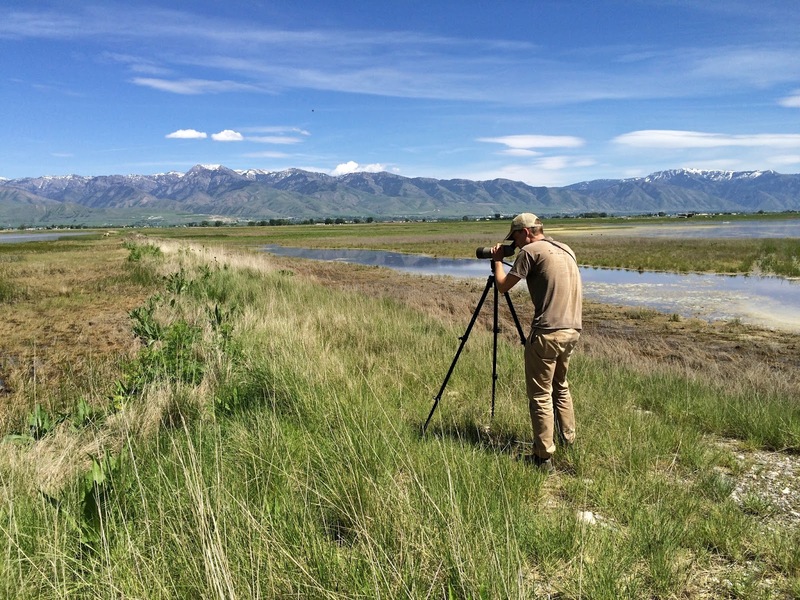 With our next stop, the Logan Sewage Lagoons, the waterfowl numbers climbed quickly. We got our only Blue-winged Teal of the day here, and focused on other ducks, especially late winter waterfowl like Ring-necked Duck and Bufflehead. We got our only Belted Kingfisher of the day nearby as we drove to the Logan Polishing Ponds, an extension of the wastewater treatment plant located about a mile to the north. Here, we picked up many of the expected breeding shorebirds, like American Avocet, Black-necked Stilt, and Willet, along with a great collection of waterfowl including some species that are quite rare this late in the season, especially American Wigeon, Canvasback, Common Goldeneye, and even a continuing Snow Goose I had found a couple weeks earlier that seems to be injured but still healthy. I first spotted this Snow Goose at the Polishing Ponds a couple of weeks earlier and noted that it was holding its wings in an odd angle. Although it looked healthy, I think the only reason it was still around is because it was a bit injured. Canvasbacks have usually all left Cache County before the baby Canada Geese get this big, but this pair was lingering at the Polishing Ponds so that we could count them on our Big Day. We took a quick detour to Benson Marina for our only Osprey of the day, sitting on a nest, and then drove to Hyde Park Lane. We cancelled a side trip to look for a stakeout Say's Phoebe after considering that we were a bit behind schedule, the bird was pretty far out of the way, and it hadn't been very reliable in our scouting, only being found once out of three attempts to look for it. Along Hyde Park Lane, we tried to pick a Glossy Ibis out of the many White-faceds, but with no luck. We did pick up our first Sandhill Crane of the day here, and our only Wilson's Snipe of the day. Wilson's Snipe are common in Cache County, but this one on Hyde Park Lane happened to be our only one of the day. Next up was the Amalga Barrens, usually a great shorebird spot, but we were a bit late for shorebird migration. Indeed, we didn't have any shorebirds all day that don't breed locally; we were completely too late for passing migrants. About the best we could do here was to add a pair of Long-billed Curlews and get our first (but not only) Northern Harriers of the day. Andy and I worked hard for more shorebirds at the Amalga Barrens, but the best we could do is add a couple of Long-billed Curlews to our list. We were apparently too late for all the passage migrants. It was about 4:00 PM, so with a little less than five hours of daylight left and with all the expected shorebirds and waterfowl ticked off, I asked Andy to tally our list again. We were at 112 species for the day. When he said, this, I did a little mental math and my heart sank. All those waterfowl and shorebirds, and we only added 32 species? Five hours left to get 42 species to tie the record? I started to think about how that could be right. Andy checked again: yup, 112 species. When we started Newton Reservoir, I knew it would take a miracle if we were to reach our goal. 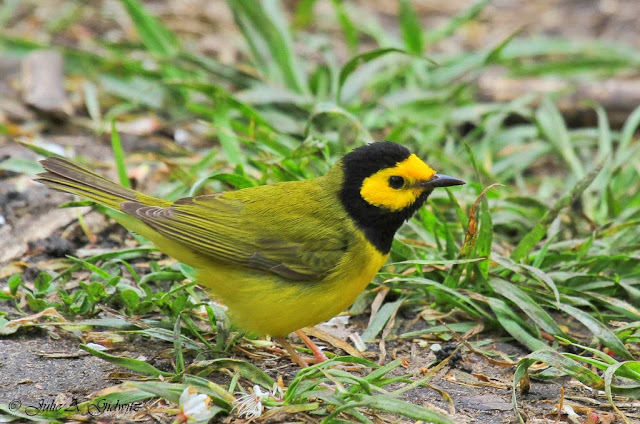 As soon as we pulled up at Newton, we could hear a Yellow-breasted Chat singing, another pretty local species that is tough to find in the valley. 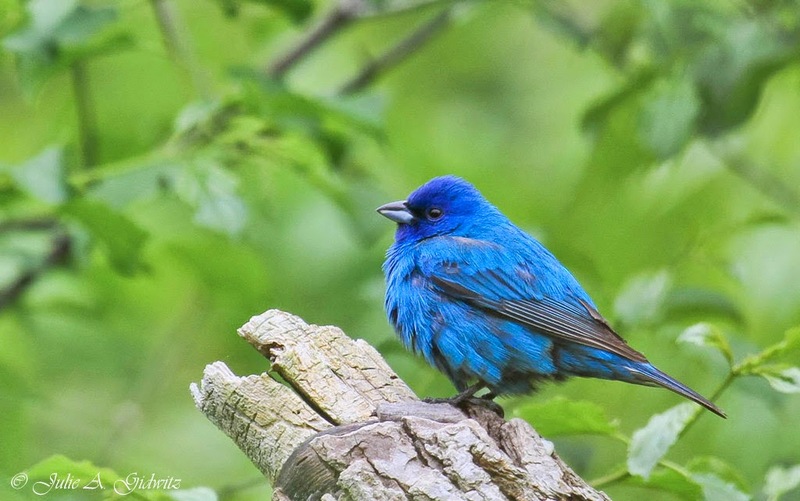 We couldn't find the Blue Grosbeak that had been here last week, but a Golden Eagle flew over (our only one of the day), and a Blue-gray Gnatcatcher called from beneath us in the wash a little while later. Across the road in the campground area, a Least Flycatcher I had found a few days earlier was singing as we stepped out of the car, and a second one was nearby. 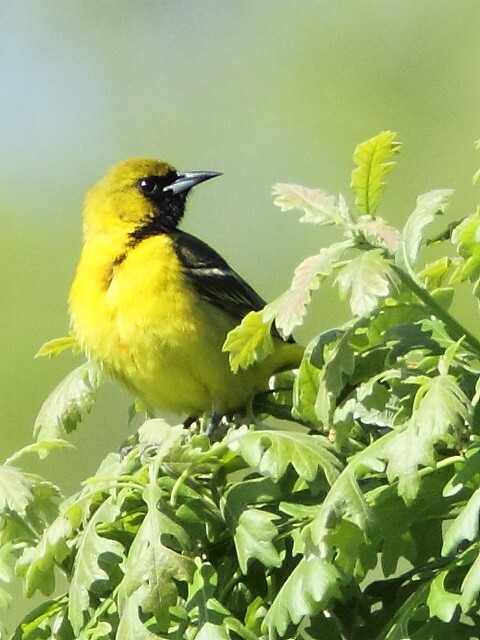 This was probably the rarest bird of the day, at least by some measures, since it was the only one on the review list of the Utah Bird Records Committee. 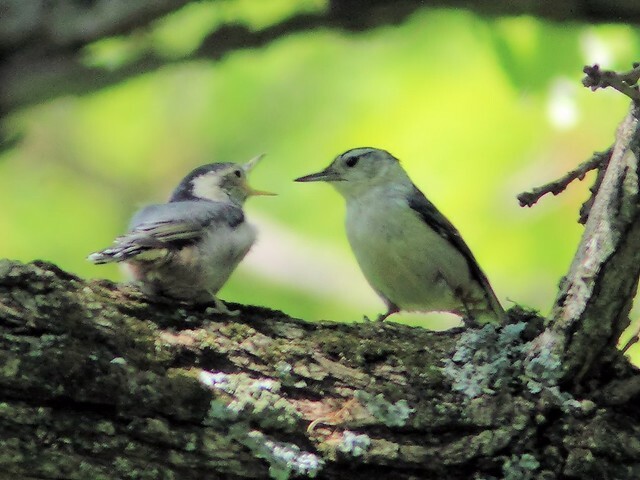 We broadcast for Downy Woodpecker some more; way too long, I thought, but then, we didn't really have a shot at our goal anyways so it didn't bother me. We broadcast a bit for Lark Sparrow, and didn't get any responses from that species either. We needed a miracle to reach our goal, and missing these two easy species wasn't helping. I was feeling pretty bummed. On the way to Steel Canyon, Andy added up the numbers again. I knew we wouldn't be close, but it wasn't going to hurt to hear where we were at, and I was still hoping for my miracle. And I got it! Andy realized that he had somehow--twice!--forgotten to count the last page of our six-page checklist. I don't know how this happened, but I still think he may have been messing with me. Either that, or the lack of sleep and the 19+ hours of straight birding were hitting both of us pretty hard. Regardless, heading into Steel Canyon we were actually at 144 species, well within striking range of our goal if things went right! We picked up singing Vesper Sparrow, Grasshopper Sparrow, and Brewer's Sparrow all from the same spot along the road. We heard Horned Lark singing a little further along. We mounted our bikes just as the sky was darkening from a coming storm, and headed into Steel Canyon, some of the best dry juniper forest in the county. 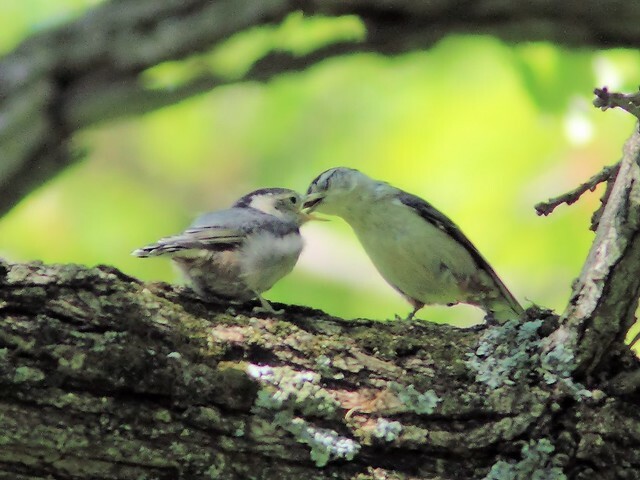 On a Big Day, meals come in the little spaces between birds. 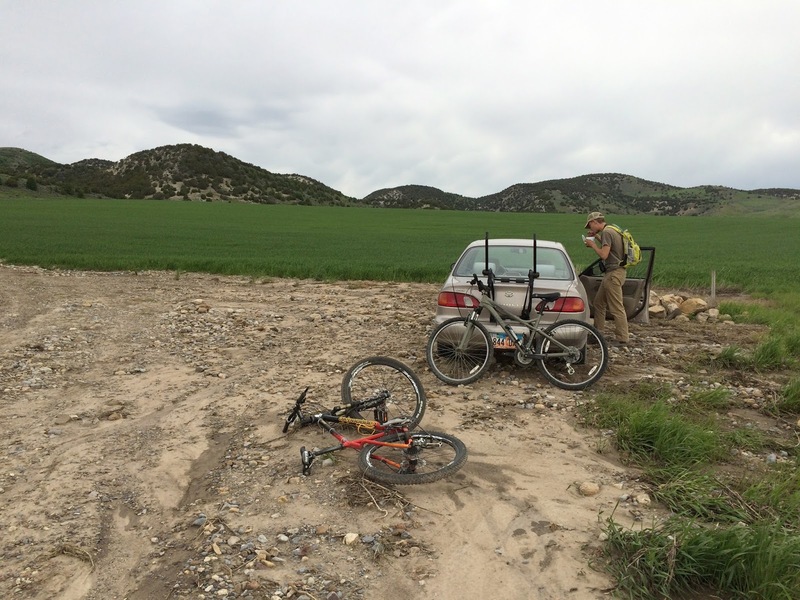 We quickly mounted up and biked the rough road into Steel Canyon as a storm approached. Steel Canyon went as well as anyone could expect. First, a Juniper Titmouse sang briefly from the juniper. 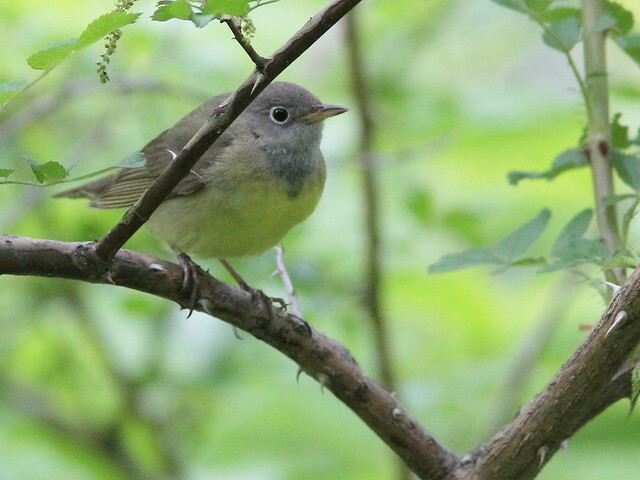 Then, a Gray Flycatcher perched on a treetop and wagged its tail downward repeatedly, a distinctive behavior distinguishing this species from half a dozen or more lookalikes. A Spotted Towhee called from across the canyon, a common species that we just hadn't run into until that point. Then a pair of Bushtits flew through a clearing, calling in flight and then landing and eventually pausing long enough to give me a quick look through binoculars. 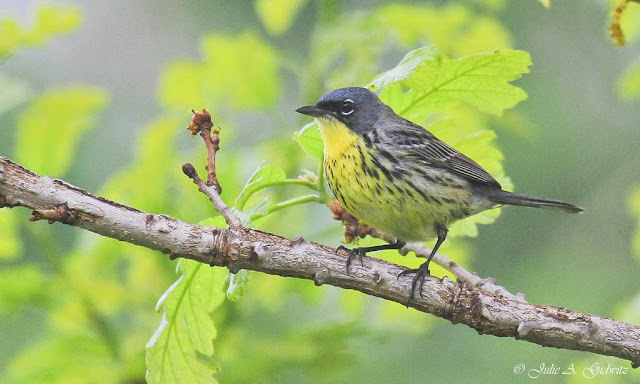 The rain started as Andy broadcast Black-throated Gray Warbler and Plumbeous Vireo at a spot he had heard both species recently. 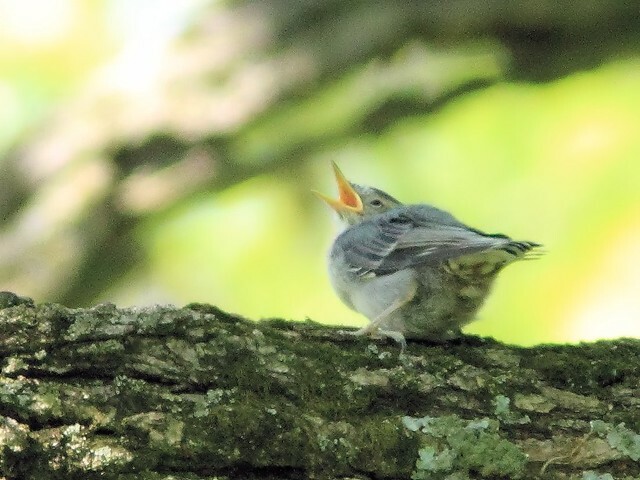 A Plumbeous Vireo flew into view and started singing in response, and a minute or so later, a Black-throated Gray Warbler started singing in the rain. We would later calculate that with these two species, we tied and then broke the Cache County Big Day record! 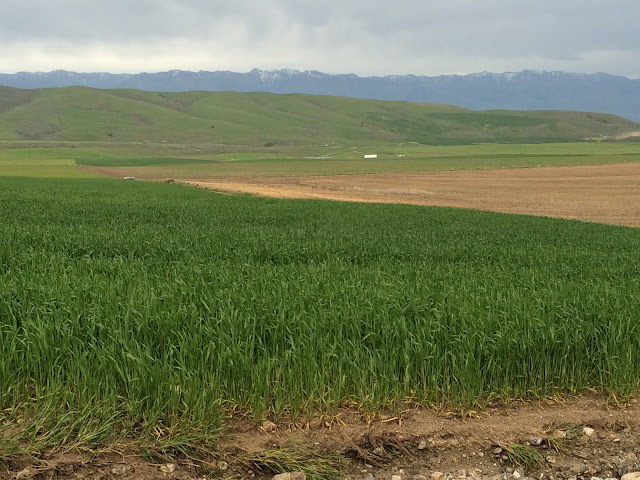 Biking back down to the car in the rain from Steel Canyon, with six new species on our list and a new Cache County Big Day record. After a quick bike back down to the car, we headed to another nearby road where Andy had recently had Short-eared Owls at dusk. This is not a rare species in the county, but they tend to be most active at dawn and dusk, and we hadn't had them yet. His spot worked like a charm, and within minutes four Short-eared Owls were flying all around us, species #156 for the day. Two of four Short-eared Owls that put on a show for us at dusk on Sink Creek Road. We were short on daylight, but also short on reasonable species we needed for the day. We headed to Bear River Bottoms WMA at sunset in a last-ditch attempt at our biggest miss of the day, but we wouldn't find Downy Woodpecker there either. We tried Cherry Creek again for Downy Woodpecker as the sky got darker, and then a little further up for Dusky Grouse, but didn't find either of those. By the time we were done there, it was nearly 10:00 PM and we were both getting quite tired. We tried following up on a tip for Long-eared Owl at Benson Marina, without any luck. Some fireworks in the distance seemed to be both celebrating our huge day, and telling us it was time to be done. At about 11:00 PM, we had few options for new birds left, and even less energy to look for them, so we called it a day. We went to bed tired, happy, and satisfied, with a new Cache County Big Day record in the books: 156 species, topping the old record of 154 that had been set in 1998! Andy heads into a stand of trees for a last-minute attempt at Downy Woodpecker as the sun set.